I find it fascinating how blinded people can be to their own biases. One recent case in point is cosmologist Neil deGrasse Tyson and his imaginary country of Rationalia. Originally spawned by a single tweet, Tyson asserted "Earth needs a virtual country: #Rationalia, with a one-line Constitution: All policy shall be based on the weight of evidence." It's pretty easy to see the glaring holes in such a proposition and several commentators were quick to point out a few of them. Practices such as eugenics, abortions for disability or population control, legislating against an unnatural ice age, and other disastrous consequences would have easily followed if Tyson's dream was a reality in prior decades. Several commentators for organizations like The Federalist, U.S. News and World Report, and New Scientist pointed out the foolishness in his original tweet. Unlike what typically occurs between adversarial politicians, in scientific discourse, when we disagree with one another there's an underlying premise: Either I'm wrong and you're right; you're wrong and I'm right; or we're both wrong. The unfolding argument actually shapes the quest for more and better data to resolve the differences so that we can agree and move on to the next unresolved problem. These are not detached, non-emotional observations. Scientists are people and each has a dog in the fight, so to speak. It isn't surprising that they would want to see their own theories succeed, just as politicians would want to see their own legislation pass. It isn't malicious, it's being human. And in modern research, when you add research grant money into the mix, there's a potent motivator to really push to justify one's efforts. Kuhn goes on to tell of other problems that plague scientific discourse, such as the "body of evidence" that Tyson looks toward may itself be limited given the limits of technology. Scientists may not be able to see how their theories are flawed simply because they have to guess at what data they should measure, where to look for it. Maybe the instrument that proves their theory false hasn't yet been invented. Charles Darwin couldn't have realized the complexity of living cells since there were no microscopes capable of displaying the amazing molecular machinery that allow the cell to function in his day. This "body of evidence" that Tyson references may also be deeply flawed. Researchers at Open Science and at Bayer labs recently found 65 to 75% or more of results reported in some of the most prestigious scientific journals could not be repeated. There was a strong body of evidence for the researchers' conclusions, but no one had previously bothered to check and see if the evidence was good or not. In turn, we get biased polices such as the Food and Drug Administration's 60 year ban on dietary fat when it turned out the scientist pushing for the restrictions was more concerned with his legacy than the facts. Kuhn's arguments are based on historical observation for how scientific paradigms have developed. He has quite a body of evidence from which to draw: the entire history of the scientific enterprise. Yet, Tyson seems to completely ignore this in his proposal for a country of Rationalia. I find that interesting. If Tyson won't even acknowledge the body of evidence against science being just as flawed as politics or other governing methods, then he is proving the very point his critics are making. Just because a scientist comes to the conclusion of X doesn't make it right, morally good, or unbiased. 1. 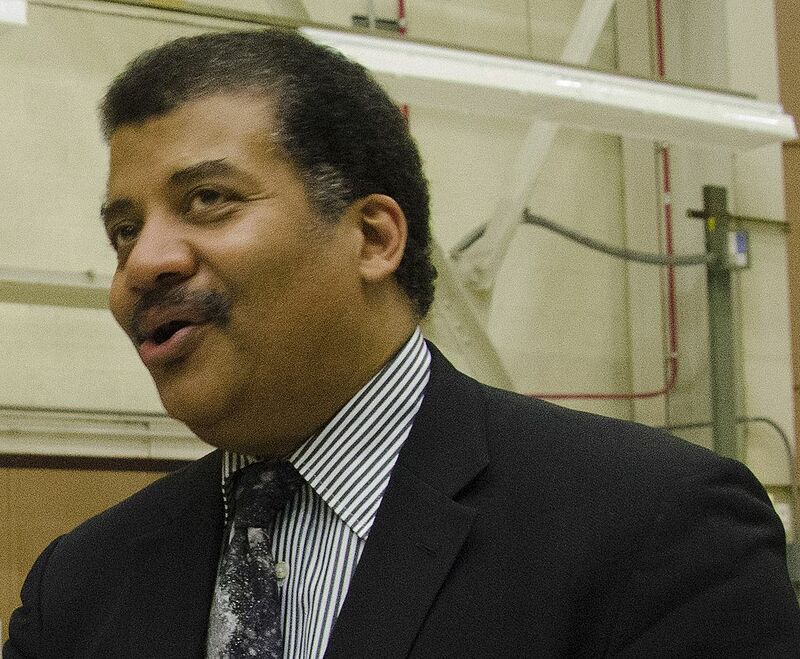 Tyson, Neil deGrasse. "Reflections on Rationalia." Facebook.com/neil-degrasse-tyson. Facebok.com, 7 Aug. 2016. Web. 10 Aug. 2016. 2. Kuhn, Thomas. "The Structure of Scientific Revolutions." The Philosophy of Science: An Historical Anthology. By Timothy J. McGrew, Marc Alspector-Kelly, and Fritz Allhoff. Chichester, U.K.: Wiley-Blackwell, 2009. 491. Print.